In 2016, the average amount of credit card debt carried by each household in the United States was approximately $16,883, according to Nerdwallet. This means many couples going through a divorce are going to have to address the important issue of how to divide their debt obligations. Texas is a community property state. This means, generally, that property accrued during the course of a marriage is subject to equitable division between the spouses, which may include certain types of debt. However, credit card debt is unique in that there is a contractual obligation for that debt to be serviced by the named account holders. So, for example, if you and your spouse jointly owned an American Express credit card, even if your ex-spouse took the card in the divorce, an unpaid balance can come back to you since you are listed as an account holder. There are generally two types of credit card debt – unsecured debt and secured debt. The major distinction is that unsecured debt is offered by a lender without asking for collateral (i.e. property). The overwhelming majority of credit card debt in America is unsecured debt. If the balance is not paid in a timely manner, most credit card companies charge you additional interest on the balance and charge late fees, penalties, and so forth. There are some instances where you may have a secured credit card. This is often the case when your card is directly connected with a checking account or savings account. The account itself, and the balance in that account, acts as the collateral. With these types of accounts, it is common for the bank to require you to maintain a minimum balance to minimize the bank’s risk if you become delinquent in servicing the balance. 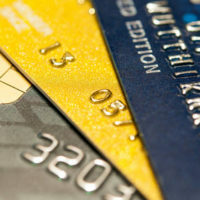 As you can see, the division of credit card debt is an important issue that needs to be addressed during your divorce. An unpaid balance can have serious implications for your credit score and financial outlook post-divorce. This is why it makes sense to retain the services of a skilled Houston divorce lawyer at Lindamood & Robinson, P.C. Our experienced divorce lawyers know what it takes to achieve optimal outcomes for our clients. Contact our office today to schedule an in-person consultation.